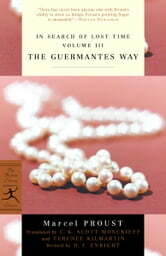 "The Guermantes way" is the path that runs past the chateau belonging to the Duc and Duchesse de Guermantes. 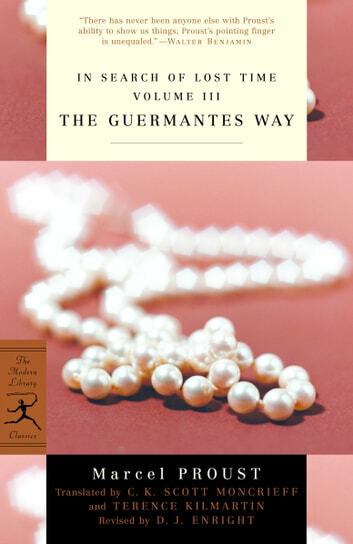 It also represents the path into "the social kaleidoscope" traveled by Proust's narrator, which culminates in his introduction to the Paris salon of the Guermantes. The rich cast of characters in this third volume of In Search of Lost Time includes Robert de Saint-Loup, who is obsessed with the prostitute Rachel, and Baron de Charlus, a public womanizer and secret homosexual. The final volume of a new, definitive text of A la recherche du temps perdu was published by the Bibliotheque de la Pleiade in 1989. For this authoritative English-language edition, D. J. Enright has revised the late Terence Kilmartin's acclaimed reworking of C. K. Scott Moncrieff's translation to take into account the new French editions.